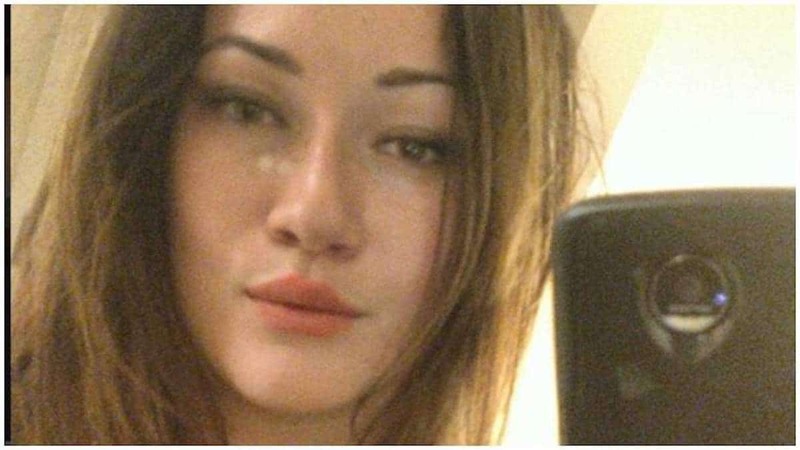 Why did Jeffrey Jemaile Taylor shoot dead girlfriend, sister and dad then self? 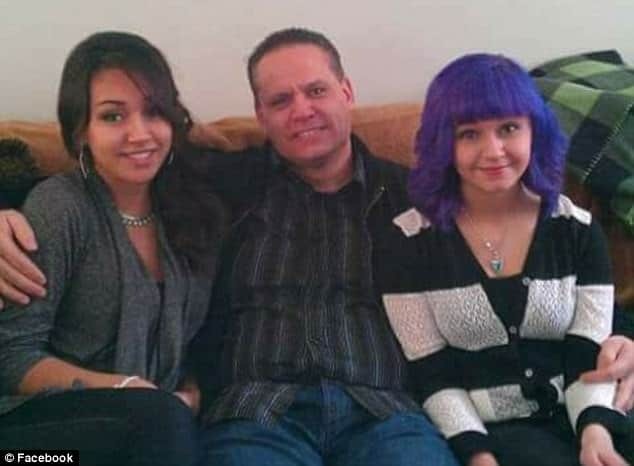 Pictured the shooting victims of Jeffrey Jemaile Taylor: Wade McIntosh (right), 47, and his two teenage daughters – Maria (center), 19, and Olivia (left), 17. Jeffrey Jemaile Taylor a former boyfriend goes on a shooting rampage against his ex girlfriend’s family in a custody battle over their toddler daughter. Jeffrey Jemaile Taylor a 20 year old St Pauls, Minnesota man has shot himself dead shortly after killing the 19 year old mother of his 18 month old daughter, her sister and her father. 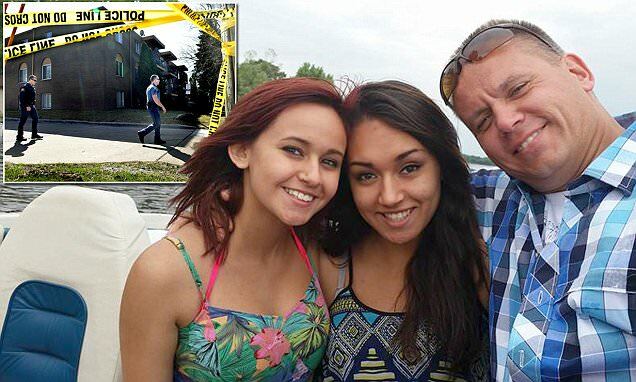 Killed was 47 year old father, Wade Gordon McIntosh and his two teenage daughters, Maria Alana McIntosh, 19, and Olivia Felis McIntosh, 17. Also shot but surviving Thursday night’s St Pauls shooting carnage was Wade McIntosh’s ex-wife and the mother of his daughters, Anita McIntosh. The woman is listed in critical condition. According to WCCO-TV, Taylor, 20, who is the father of Maria’s toddler daughter, Cheyenne is believed to have fled with the youngster before shooting himself. The toddler was found alive inside a shed not far from the apartment after canine dogs were dispatched. Paramedics treated the baby for hypothermia. The baby is expected to make a full recovery reported the Duluth News Tribune. Arrested in the abduction of the toddler was Jeffrey Arkis Taylor, 19, who was identified as Taylor’s half-brother. At the time of the toddler’s discovery, the baby girl was in Arkis’ possession. The body of the child’s father, was found by officers canvassing the area some hours later in the neighborhood reported AP. 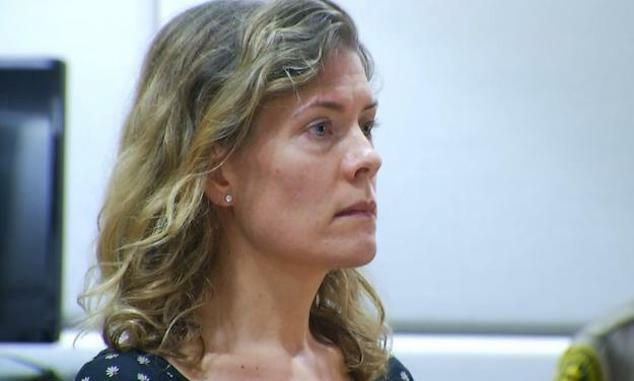 It is believed that the 20 year old Jemaile had become agitated and disturbed following a recent break up with the mother of his toddler daughter and may have sought revenge. Arkis’ now faces charges of kidnapping, aiding and abetting murder, and attempted murder. Matters came to the fore just before 1am when police received reports of a possible shooting on English Street. 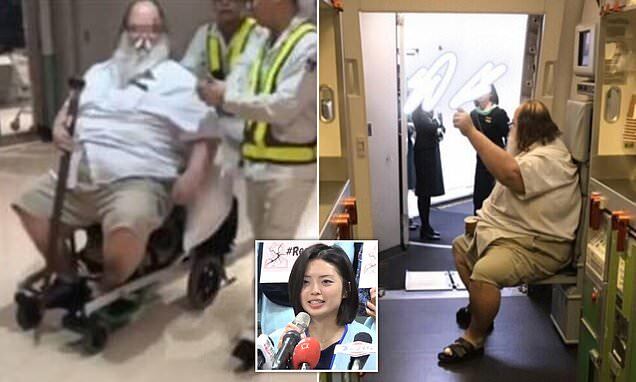 An officer who arrived found three victims – a male who was unconscious and not breathing; a female who was unconscious and breathing; and another female who was conscious and breathing. In the parking lot, another individual was found with a gunshot wound to the head. That person was not conscious and not breathing. Paramedics pronounced Wade McIntosh and his two daughters dead at the scene. 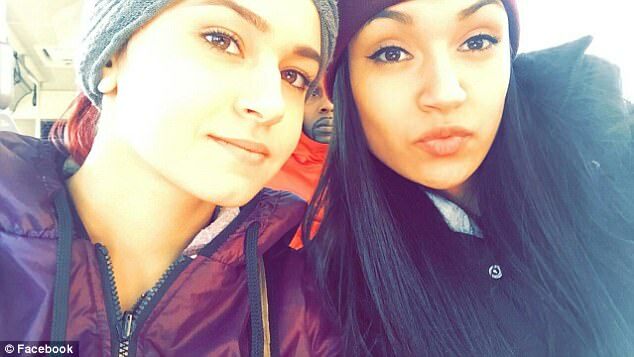 Jeffrey Jemaile Taylor victims, were sisters, Maria (right) and Olivia McIntosh. A neighbor who lives on the third floor of the three-level apartment building said she was awakened by two gunshots. She also heard a woman screaming outside. When she looked outside, she saw a cousin of Anita McIntosh in front of the building. 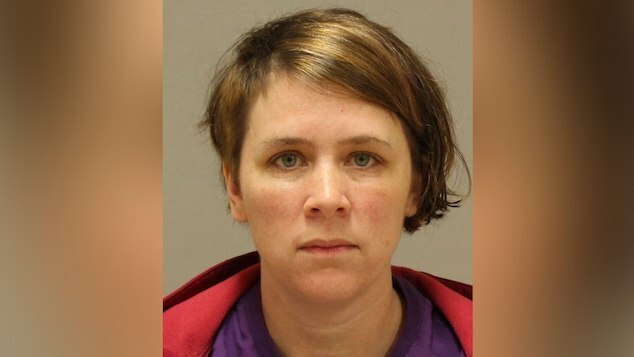 The neighbor, Diane Hagler, said that Anita McIntosh’s cousin lives in a second-floor apartment that is right next door to where Anita and her daughters have lived for years. ‘My Uncle Wade … my cousins … they were all good, beautiful people, inside and out,’ said relative Louis Hernandez via the Pioneer Press. ‘We are all praying for my auntie right now’. 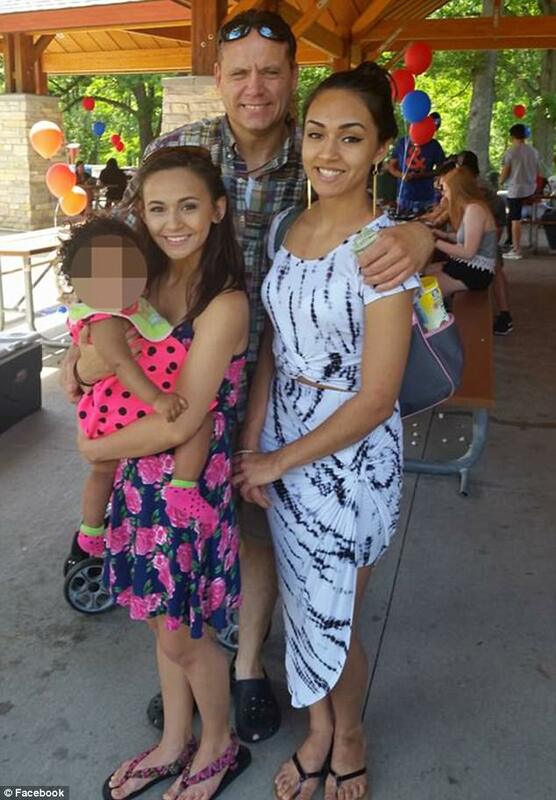 Police say Jeffrey Jemaile Taylor gunned down the mother of his toddler baby, Maria her sister, Olivia and their father Wade McIntosh (all pictured). Marzahn said McIntosh had re-connected with his daughters after overcoming substance abuse. Though police have yet to pinpoint a possible motive for the shooting, Marzahn speculated that it may have been fueled by a custody dispute. ‘I was just devastated. I was surprised, I mean, as anybody would be,’ Marzahn said via WCCO. Jeffrey Jemaile Taylor victims, his ex girlfriend, her sister, father. Also pictured, toddler Cheyenne who Taylor kidnapped but survived and is now in Child Services Custody.